The Lost Love of a Soldier – is here! The prequel to the Marlow Intrigues is out Today! They’d spent a day and another night in the carriage. Paul ached from too many hours of confinement, so they’d stopped again to break their fast and for him to stretch a little. Now they’d eaten, he’d left Ellen to refresh herself and walked about the yard of the Bull’s Head in Leamington Spa. He did not dare take a proper walk and venture out onto the High Street in case Ellen followed. An officer and a dark haired beauty might be remembered. So he kept to the confined space at the inn, walking a circular route a dozen times. Anxiety raced through his blood. His senses were as heightened as they would be before a battle. But he’d no idea where the enemy was. The Duke of Pembroke could still be in Kent, or he could be a few hours behind them, riding at a gallop, eating up the ground, pursuing them as they lingered here. Paul hated stopping and yet they had to eat, and… Well, they could not simply stay constantly in the carriage. Bored with walking in a circle he stopped at the stable and moved to a stall where a horse whickered from within; one of those they’d just relinquished from their traces, to be returned to the Black Horse at Bicester, the inn they’d stopped at before nightfall. “You have a connection with horses, and you ride well. I remember from the summer. Why did you not join a mounted regiment? I would have thought you’d be in the cavalry instead of a regiment of foot soldiers.” Ellen stood beside him. Her fingers touched his arm as his reached out and patted the mare’s neck then stroked its cheek. “Because I could not have borne to watch a horse that I’d brought to battle, die. I made my choice to fight. My horse would not have had the same luxury.” He patted the animal once more, denying the images of battles crowding into his head. He did not want to remember. He turned to her and immediately all the memories of war and brutality faded. She did not answer; perhaps he’d said something too morbid. Her pale blue eyes held questions. Maybe she had seen the memories in his eyes. He did not wish her to see – with her he wanted to forget those memories. Yet he was taking her to a battleground, albeit not to fight. Perhaps it was wrong of him. But he could not regret it. In their hours in the carriage, the attachment she’d planted in his heart in the summer had emerged like a shoot from a seed, germinating and growing to full flower. 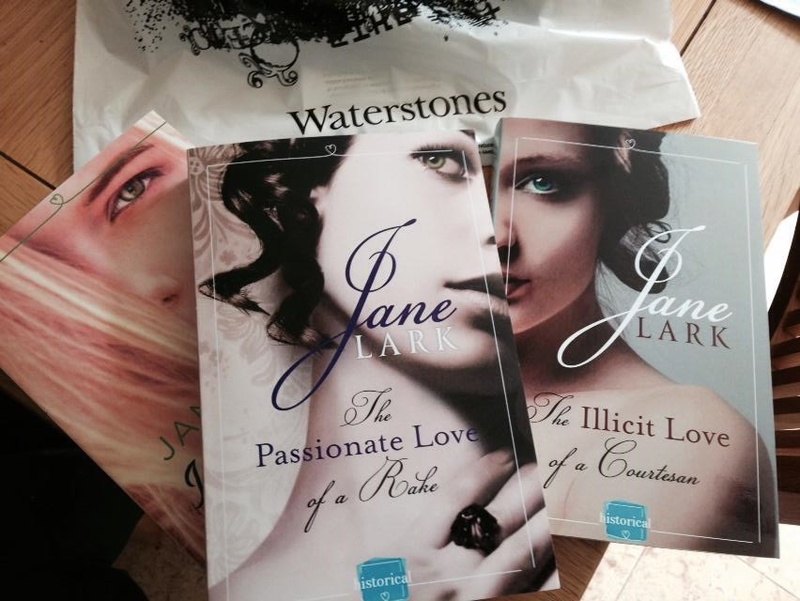 Ellen Pembroke was the woman his soul chose; he could not leave her behind. Love clutched about his heart, a vine wrapping around it. “I love you.” The words slipped from his mouth without thought. She was young, she knew nothing about brutality. He did not wish her to, but she would learn. He was young too, but the experiences of war, and now having her to protect, made him feel much older than he was. “Come, we had better go. There is no knowing how much ground your father has gained on us, if he is following.” He gripped her elbow, gently, and turned them both. When they were back in the carriage he kissed her, desire and need roaring in his blood. He could not wait until they were out of this damned carriage and in a bed. But he did not press her for anything more. She was innocent, and they were unwed, he could wait until the moment came. For now he just revelled in her kisses and her tender, beautiful responses as shallow sighs slipped across her lips and her tongue tentatively entwined with his, while the weight of her arms rested on his shoulders. 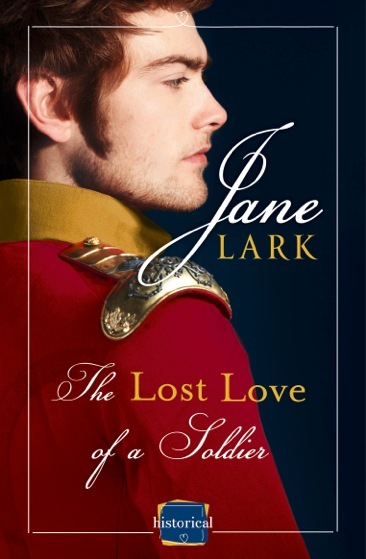 Posted on July 17, 2014 by janelark •	This entry was posted in Books, Regency Stories and tagged 1800s, 19th Century, Army, Books, Fiction, Historical Novels, Historical Romance, history, Jane Lark, novels, passionate, regency, regency books, Romance, Soldier, Story, the Lost Love of a Soldier, True Stories, Waterloo, writing. Bookmark the permalink.